This is a IBM ThinkPad T20, T21, T22, T23 LAPTOP MAINTENANCE or SERVICE MANUAL which includes the complete Service and Maintainance info for your IBM Laptop listed below. 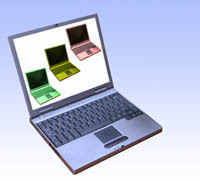 These are the same manuals used by technitians to service, maintain or repair your Laptops. All Manuals will be provided to you in 100 clear & crisp PDF format. Assembly and diassembly charts for perfect repairs. These service manuals are a must for anyone who wishes to setup, install, repair, troubleshoot, operate and fully maintain these printers to optimum factory settings. Several other service manuals are also available in my Ebay Store.